Exercise may have changed over the years, but the basics still remain the same. Everyone may exercise for their own reasons – to be healthy, to lose weight or to relieve stress. Depending on what you want to achieve, and what your body prefers, whether you want gentle mindful yoga, or core strengthening Pilates, there really is something available for everyone. Cardio exercises are known for their weight loss benefits, stress relieving properties and being easiest to do outside of the gym. Whether you go for an evening stroll every night or are training for a marathon make sure you are doing it regularly and at your own pace. Running is not for everyone, as it puts a strain on the joints, so if you struggle then try swimming or cycling. Trail running has also taken off in recent years and is a nice way to get out into nature as well as exercising. If you are doing your cardio in the gym bear in mind that using equipment trains you to use equipment, so try for a nice balance. Also, make sure you have a good pair of shoes. 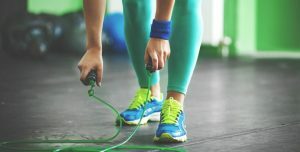 If you are looking to start exercising but find the gym and the traditional cardio options boring, there are some great alternatives. You can try alternative forms of dancing such as hip-hop or contemporary, or an aerobics class. Zumba is also hugely popular and is fast, fun and intense. Horse riding is another option, and also develops great muscle tone at the same time as raising your heart rate. There are also some extreme options for the thrill seekers – you can try motorsports or downhill bike racing. Both of these hold a high risk of injury, but if you are looking for a thrill, they will definitely get your blood pumping.